Viewing articles 1 to 40 of 35902 total. The "American Idol" finalists continue their journey in the competition, paying tribute to one of the world's most iconic bands, Queen. In this episode, each contestant will take on a song from the legendary Queen catalogue, before partnering up for classic movie duet performances. Helping to prepare the Top 8 to rock the stage is "American Idol" alumnus and Grammy-nominated artist Adam Lambert, who acts as celebrity guest mentor. "Wedding Cake Championship," the top-tier cake competition hosted by Tara Lipinski and Johnny Weir, returns Monday, June 3 (10 p.m. ET/PT), with new engaged couples looking for their dream wedding cake - and a new batch of elite bakers who hope their talents will deliver. I am very fortunate my family can send me to The Summit Center's Building Connections summer program. It is a social skills program. I have attended this wonderful program for six years. It has taught me things such as facial expressions, clarifying directions, even job interviews. "Boom Days Buffalo," an annual celebration of spring marking the removal of the ice boom, is happening this Saturday, from 1 p.m. to 1 a.m., in multiple venues throughout the Old First Ward neighborhood in Buffalo. The full list of events, times and locations can be found at www.facebook.com/BoomDaysBuffalo. All activities are free and open to all. 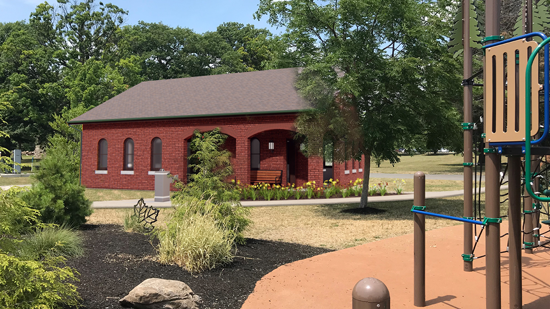 The New York State Office of Parks, Recreation and Historic Preservation, along with the City of Niagara Falls, broke ground Wednesday on a comfort station that will service parkgoers at DeVeaux Woods State Park. On Tuesday's episode of "Jeopardy!" 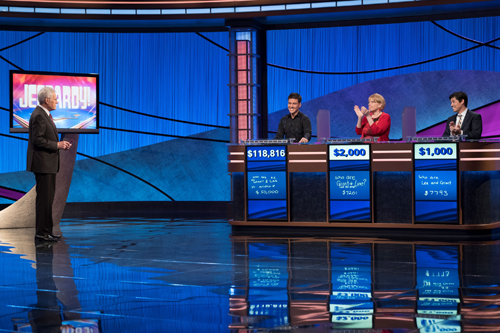 James Holzhauer, a 34-year-old professional sports gambler from Las Vegas, became only the second person in the show's history to earn more than $1 million in regular-season (non-tournament) play. His 14th win brought total winnings to $1,061,554. 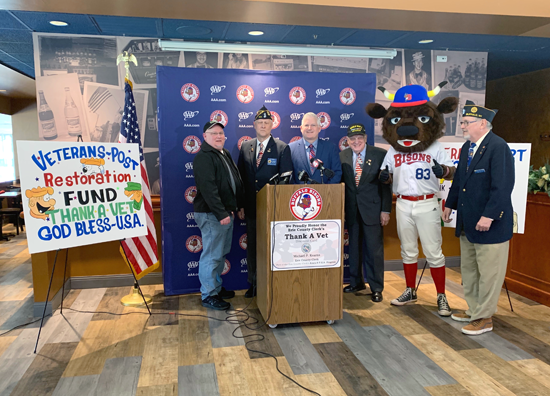 On Tuesday, at home plate in Sahlen Field, Erie County Clerk Michael Kearns, Duffs Famous Wings of Orchard Park and the Buffalo Bisons announced hometown heroes will be honored for their service to this country via a free event. "Thank A Vet Day at the Ballpark" is slated for 1:05 p.m. Saturday, May 18. 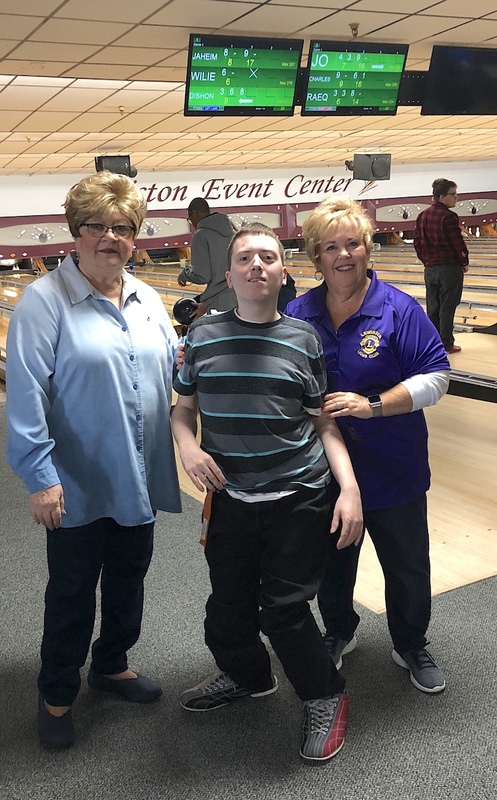 On April 12, the Lewiston Lions hosted an activity at the Lewiston Event Center for special needs children from Niagara Falls High School. The Lions Club provided bowling, food and fun for a group of more than 45 children and staff. The Walt Disney Company's presentation of the 2019 NFL Draft will offer more to fans than ever before as the entire event, April 25-27, will air on both ESPN and ABC, and each network will provide distinct telecasts for rounds 1-3 in primetime. Additionally, all seven rounds of the draft will be streamed live on the ABC App, ESPN App, broadcast on ESPN Radio and available in Spanish - on both TV and radio - on ESPN Deportes. The NFL Network will also televise the 2019 NFL Draft. Gov. Andrew M. Cuomo announced the third annual solicitation for large-scale renewable energy projects under the state's Clean Energy Standard. The solicitation is expected to support approximately 1.5 million megawatt-hours of renewable electricity per year, enough to power over 200,000 homes, and will accelerate New York's transition to a clean energy economy. The solicitation is also expected to spur over $1 billion in private investment, creating over 1,000 good-paying jobs for New Yorkers. The Erie County Department of Social Services is currently recruiting organizations and businesses throughout Erie County to participate in the 2019 summer youth employment program. The SYEP is an important platform to introduce youth 14 through 20 years of age to the workforce. The program and its ancillary training opportunities help participants acquire skills to improve school performance and expand educational and career goals. 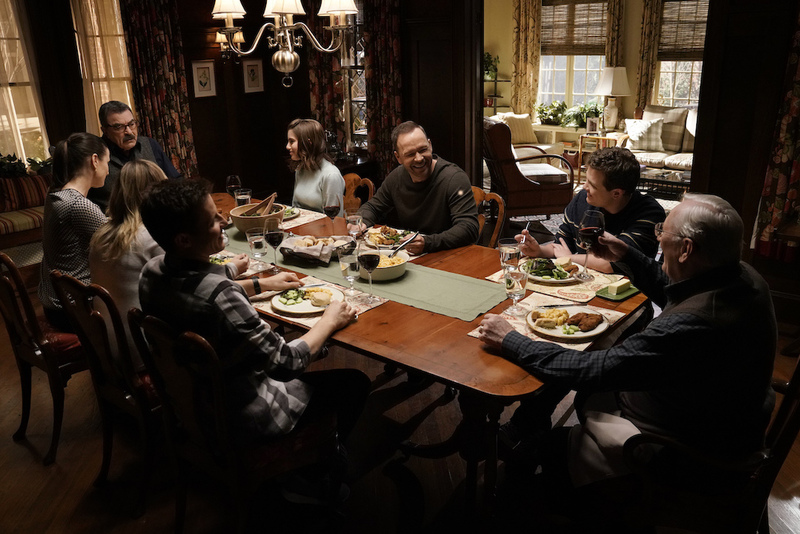 CBS announced "Blue Bloods" has been renewed for the 2019-2020 television season, and Tom Selleck has signed a new deal to return for the show's 10th year on the network. The top-10 series will celebrate its 200th episode when the show premieres in fall 2019. Renowned worship leaders Phil Wickham (Fair Trade Services) and Chris Quilala (Jesus Culture / Capitol Christian Music Group) have released "You Cannot Be Stopped." The new song, which they co-wrote together, was released on Good Friday and is available here. The Riviera Theatre welcomes Honeymoon Suite at 8 p.m. Saturday, Nov. 16, at the historic Riviera Theatre, 67 Webster St., North Tonawanda. 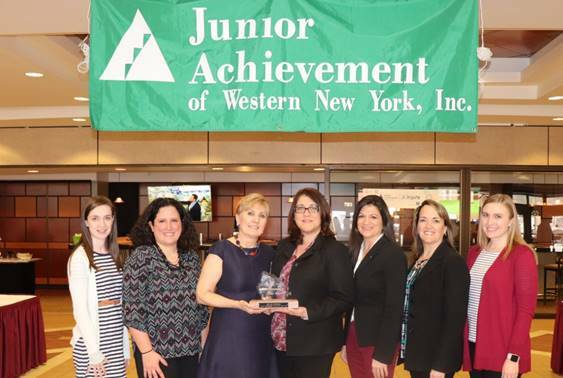 Junior Achievement of WNY has received the prestigious Junior Achievement USA Peak Performance Team Award for its 2017-18 performance. This award is to recognize superior annual performance by a Junior Achievement area staff team in achieving growth in students reached or instructional contact hours delivered, while still sustaining financial and operational soundness. Seniors are often the targets of scammers, online and in the real world. As scammers and technology get more sophisticated, it's important to learn how to protect oneself and loved ones from falling victim. Niagara Falls City Councilman Chris Voccio has scheduled his next "Coffee with Chris" event for 9 a.m. Saturday, May 4, at Power City Eatery, 444 3rd St. The Buffalo Sabres announced defenseman Zach Bogosian has undergone successful hip surgery. The procedure has an estimated recovery time of five to six months. 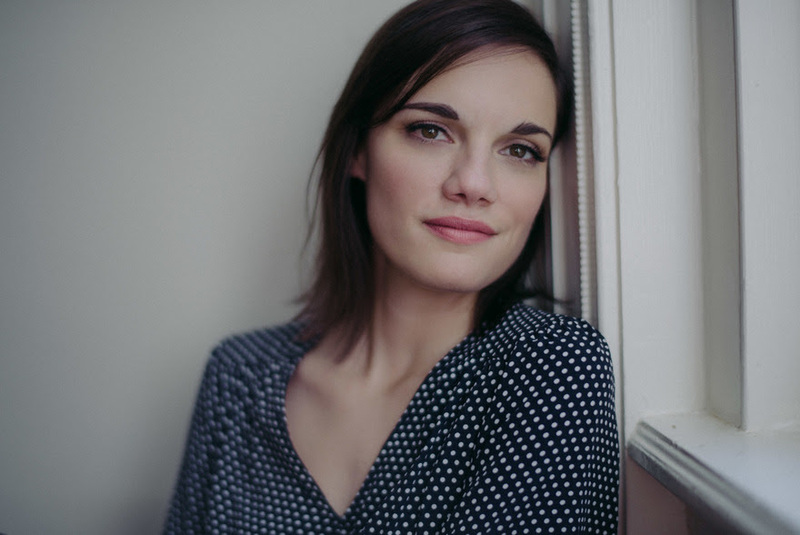 Integrity Music will release the label debut of Catholic worship leader and songwriter Sarah Kroger on Friday, April 26. "Bloom" takes personal declarations of God's mercy and shapes them into universal messages of unfathomable love. The New York Power Authority formalized a new, five-year plan to provide an expanded slate of meaningful programs in energy education and technology as part of its commitment to communities that neighbor its power facilities, including Western New York and St. Lawrence County. The list of performers for the 2019 K-LOVE Fan Awards has been unveiled and includes some of the industry's biggest artists. Artpark and Funtime Presents announce The Flaming Lips with special guests The Claypool Lennon Delirium and Particle Kid were added to the "Coors Light Concerts" series in the Artpark Amphitheater. The July 27 concert is presented by Funtime. Tickets go on sale at 10 a.m. Friday. 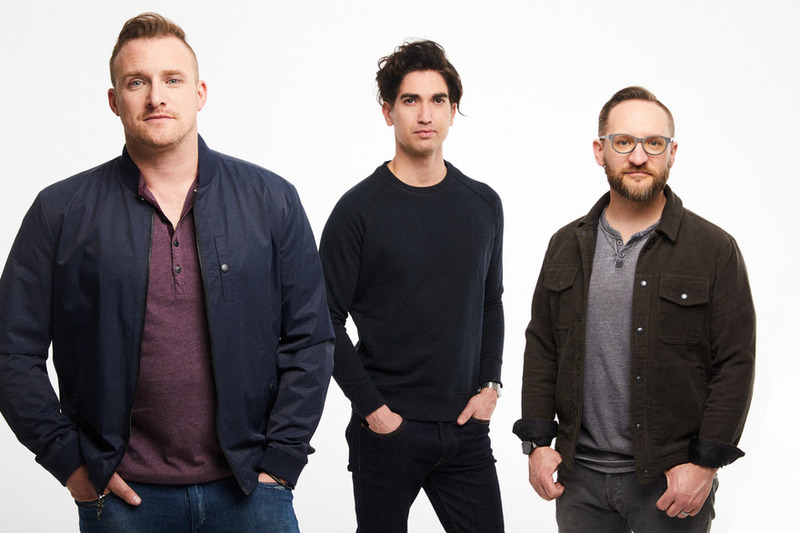 Fair Trade Services announced the new single from Sanctus Real, "Unstoppable God," is out now and available at all digital music providers. "Unstoppable God" is the follow-up to the band's smash, top 5 hit "Confidence," which has accumulated more than 16 million streams at press time. As part of its commitment to improve the health of the community and increase access to care for the underserved, Catholic Health is seeking requests for its 2019 community benefit grants. Maddie Marlow and Taylor Dye, known as Maddie & Tae, are gearing up to release their new EP, "One Heart to Another," this Friday. The five-song collection features "Friends Don't," "Tourist in This Town," "New Dogs Old Tricks," the title track and their brand-new single, "Die From a Broken Heart." The anticipated project, mainly co-written by the two, represents stories of love, loss and redemption, and is more than just a new offering from the duo. 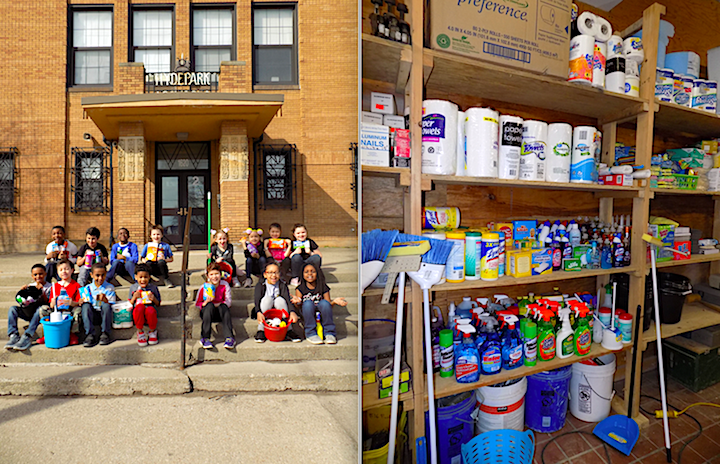 Niagara Falls City Schools have collected and donated much-needed supplies to Niagara Area Habitat for Humanity. Lauren Alaina will receive the Music Heals Award at the 20th Anniversary celebration of Musicians On Call on May 31 in Nashville. She is being honored for her commitment to volunteering at the MOC's Bedside Performance Program. State and Niagara County fire officials joined elected leaders Monday at South Lockport Volunteer Fire Co. to kick-off RecruitNY 2019, as part of a statewide effort to increase volunteer firefighters. 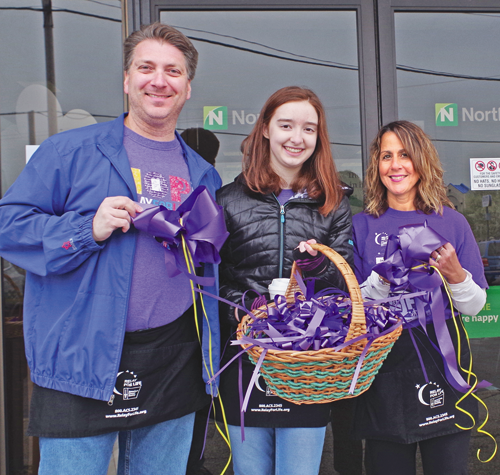 Committee members of the 2019 Grand Island Relay For Life will Paint the Town Purple on Saturday, May 4, and bring the Town Commons alive with purple in preparation for the annual Paint the Town Purple event, which takes place nationally on May 1. Spring is here and it is time to start thinking about planting and enjoying gardens. The fourth annual Grand Island Garden Walk will be held from 10 a.m. to 4 p.m. on Sunday, July 7. The Garden Walk is a free event for participating gardens and for the public. Hundreds of visitors have toured and admired Island gardens during past walks, and such annual successes have the planning committee excited for the 2019 gardening season. State and county fire officials joined with dozens of firefighters and elected leaders Monday at South Lockport Volunteer Fire Co. to officially kick off RecruitNY 2019. This weekend, hundreds of fire departments across New York state, including throughout Western New York, will host recruitment events in their communities. 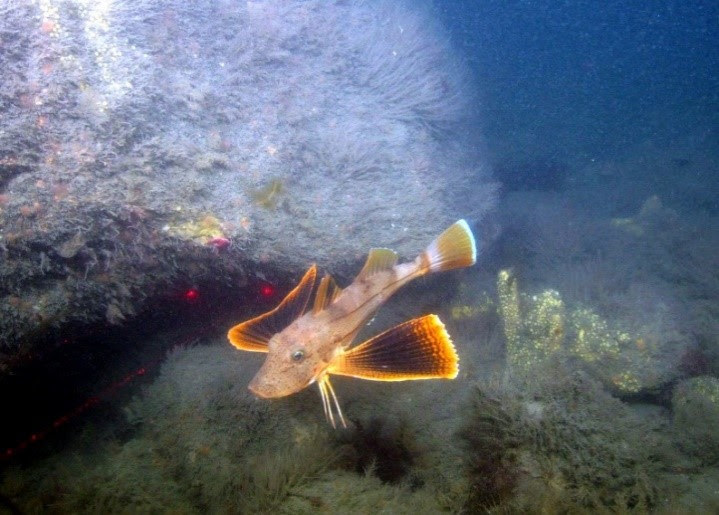 In honor of Earth Day, the U.S. Environmental Protection Agency, the Long Island Sound Study (LISS) and the University of Connecticut's department of marine sciences are announcing the publication of the Long Island Sound Habitat Mapping Initiative website. A longtime supporter of the U.S. military, T.L. 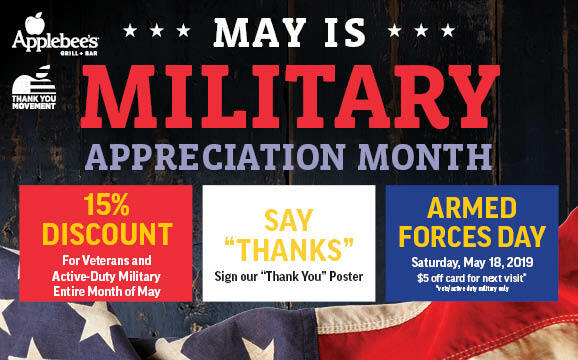 Cannon Companies and its 61 Applebee's restaurants across upstate New York, Connecticut and Northern Pennsylvania are furthering their efforts during the month of May, as part of the annual Military Appreciation Month celebration. The Buffalo Cherry Blossom Festival returns for its sixth year from May 1-5. The Buffalo Olmsted Parks Conservancy, The Buffalo History Museum, Friends of the Japanese Garden, and Music Is Art partner to host a celebration of the spring season and cherry blossoms with activities for all ages. The New York Power Authority is encouraging visitors of all ages to participate in a sculpture contest, which will be one of the featured activities at its "Every Day is Earth Day" celebration, from 10 a.m. to 4 p.m. Saturday, April 27, at the Niagara Power Vista, 5777 Lewiston Road. Our Lady of Peace, a leading provider of nursing and rehabilitation services in Western New York, has implemented EarlySense's contact-free, continuous monitoring solution. The 250-bed facility installed the patient-monitoring platform to advance its dedication to patient safety and care. After three rounds of intense challenges testing the baking and business skills of four entrepreneurial bakers, Charlette Bell of Stone Mountain, Georgia, creamed the competition on the premiere of "Bake You Rich," earning the opportunity of a lifetime to have her dessert sold by the "Cake Boss" Buddy Valastro on Carlo's Bakery website. 2019 will mark the 15th anniversary of the Tour of Homes. The annual event, inspired by the holiday season and historic homes, is a fundraiser for the Historical Association of Lewiston. 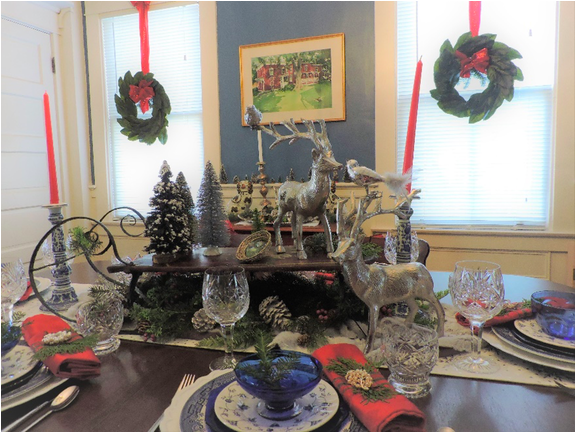 Each tour consists of five beautiful homes appointed in holiday décor, as well as additional historical locations of interest.